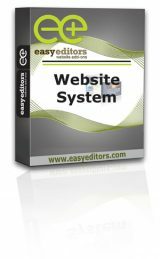 These website systems are delivered as a complete installed package on Easyeditors webservers , this is not a downloadable product. The price includes Installation, domain, quality hosting on Xeon Quad core servers. We build the site then deliver to you for content to be added. Complete Website System Package includes. Professional Hosting Package (Xeon Quad Core Server) High spec Private Servers under 24 hour support. Automated nightly Backup System. Very easy Page WYSIWYG administration and Image upload tools. 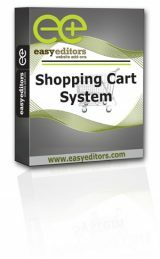 Easyeditors Website Systems and Shopping Carts are payable Yearly via Credit card or PayPal, cheque or Direct Bank Transfer.